Streeter Lecka/Getty Images Cam Newton faces Patrick Willis this week in the "Madden NFL 13" cover vote. 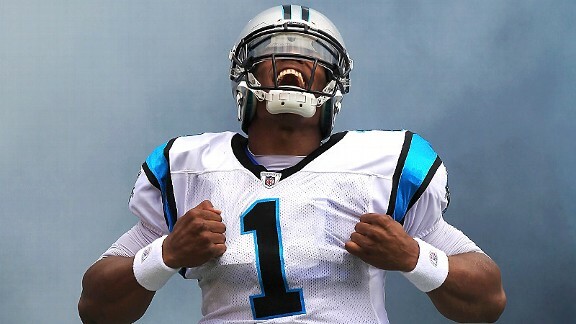 With the "Madden NFL 13" cover vote down to the round of four, is it inevitable that we'll see a battle of Cam Newton versus Calvin Johnson in the finals? Not so fast. While Cam and Megatron have been Nos. 1 and 2 in total votes since the competition began, they each face players who seem to be surging at the right time (and from teams with millions of faithful voters). Only time will tell if the Packers and 49ers fans vote with their hearts and try to help Aaron Rodgers and Patrick Willis advance to the finals, or if an anti-curse vote from all four fan bases turns the final four into a free-for-all. Willis is not only the lowest seed still left in the tournament, he's the only defensive player still standing. And while I would love to see Willis crushing a quarterback on the cover of "Madden 13" (complete with old-school ambulance), Newton is a beast in the fan vote so far, and I don't think Willis is going to be the one to stop him. 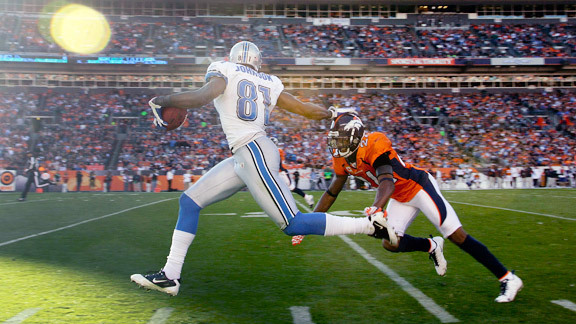 AP Photo/Joe Mahoney Calvin Johnson looks to run away from the field in the "Madden 13" cover vote. Rodgers would've been the perfect cover athlete last year, but for "Madden 13" it seems like Megatron's vote to lose. Besides, "Madden" is historically dominated by big receivers out-jumping everyone for the ball, and I have a feeling Johnson is going to be an unstoppable force once "13" ships in late August. 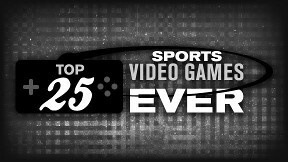 Head to the official SportsNation "Madden 13" cover page to cast your vote for your favorite player (or player you're most hoping to curse). Will RG3 be the best rookie in the history of 'Madden'? B-Lloyd hopes to curse the 'Madden' curse. First screens of the new trophy celebrations. 2K Sports hits the diamond with 13 new images. The sequel to our most popular game is here. How's your return? Run timed routes, beat DB's to the end zone and score. Hit your receivers, dodge defenders and rack up TDs.